I hope everyone is doing well and looking forward to the holiday season! Alright, since it’s the holiday season and everyone’s always looking for the perfect gift, I thought I would make life a little easier for you. This holiday season, we’ve had a number people reach out to us about getting a friend, family member or loved one signed up for training at DSP. Most of these folks have probably heard of how kettlebell training at DSP is unlike any fitness program out there. Yet, they may be a little nervous about joining because they’re unsure of what to expect. Because fitness is so hit or miss, I wanted to create a deal that would allow any and everyone a chance to experience what it’s like to train at DSP. No matter your fitness level, you will see quickly why training with a DSP Coach changes lives! I am going to call this the DSP Holiday Fitness Starter Program. In this program you will go through the Functional Movement Screen to assess your movement patterns and to discuss the plan moving forward. You will also get three (3) Personal Training Sessions with a DSP Performance Coach. 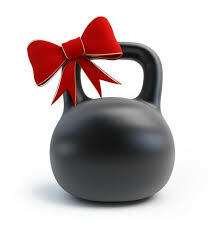 In these sessions you will learn our 6 main kettlebell exercises. These exercises form the foundation of our training and will allow you to join our group programs if you want. Register before 12/24 and pay $342. That’s 40% off on this one time deal! If you think you’d be or someone you know would interested in joining DSP and getting in the best shape of their lives, then click on the Paypal link and let us know when you would like to get started!